In a message to CSAA members today, President Jay Hauhn announced that Louis T. Fiore, president of L.T. Fiore, Inc., will assume the position of CSAA interim Executive Vice President beginning Wednesday, October 1, following the retirement of Steve Doyle. “The CSAA executive committee and I are thrilled that Lou has agreed to lead CSAA during this period of transition. Lou’s distinctive industry accomplishments uniquely qualify him for the position. I look forward to the next several months with confidence, knowing that the association is in good hands,” said Hauhn in his statement. 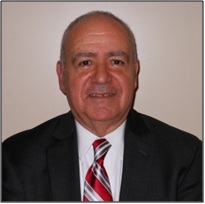 Fiore is a Past President of CSAA (1997-1999) and now serves as chair of the Alarm Industry Communications Committee (AICC) and of the CSAA Standards Committee. He is also chair of SIA’s Security Industry Standards Council (SISC). He is a long-time member of the Supervising Station Committee of NFPA 72, a member of NFPA’s Premises Security Committee (NFPA 730 & 731), a member of NFPA’s Standard for the Installation of Carbon Monoxide (CO) Detection and Warning Equipment (NFPA 720), a member of the NFPA 72 Technical Correlating Committee, and has been a member of various UL Standards Technical Panels. Fiore’s career also includes posts at CBS Laboratories, Inc., Manager of Product Development at ADT Security Systems, President and Co-founder of Cardinal Technologies, Inc., Vice President and General Manager of the Security Products Division of Repco, Inc., and Vice President of Engineering and Purchasing for National Guardian Corporation. For the past nearly 20 years, he has worked in his own consulting practice. Fiore was the 1992 recipient of the Security Industry Association’s (SIA) George Lippert Memorial Award, the 2005 recipient of the CSAA Stanley C. Lott Award, and was inducted into Security Sales and Integration Magazine’s Hall of Fame in 2010. In 1999, he was appointed by President Clinton to serve on the “America Burning” panel. 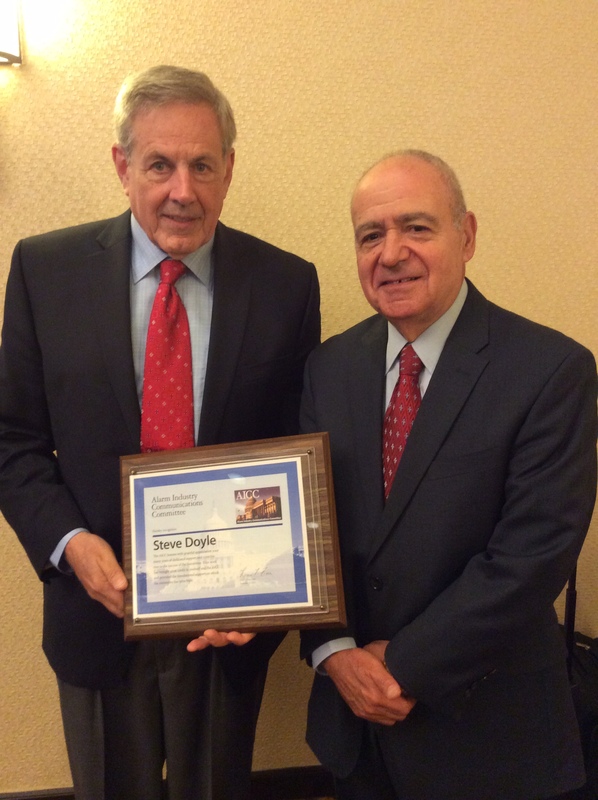 On September 15, retiring CSAA Executive Vice President Steve Doyle was honored at the quarterly meeting of the Alarm Industry Communications Committee in Crystal City, VA.
AICC Chair Lou Fiore presented Doyle with a special plaque and thanked him on behalf of the members of AICC for his leadership and contributions over the last two decades. 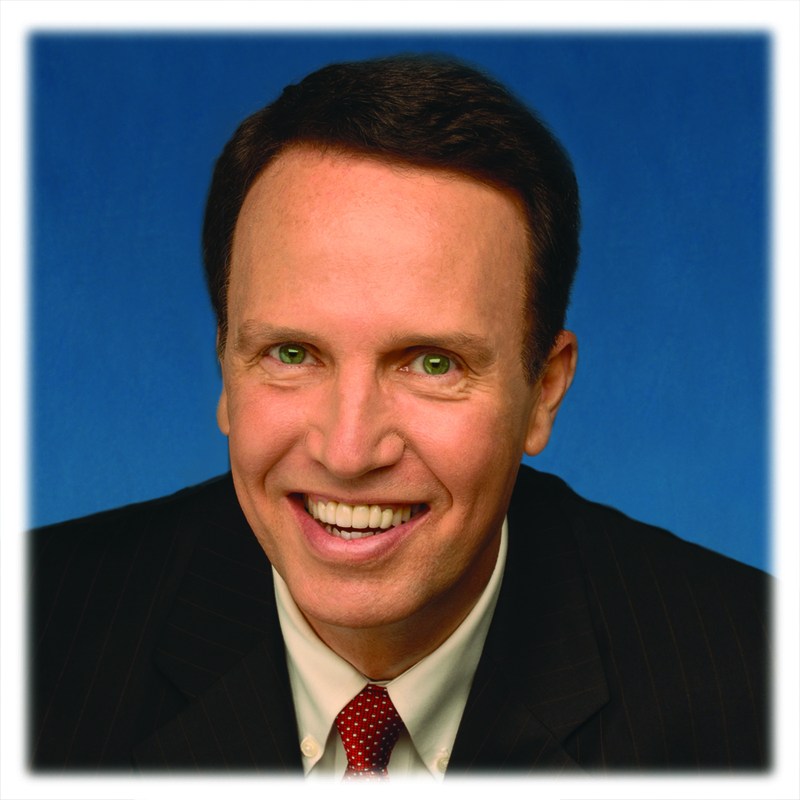 Dr. Robert A. Rohm is a dynamic inspirational international speaker, best selling author, educational consultant and guest lecturer. He has traveled extensively, inspiring others throughout the world. Dr. Rohm earned his Ph.D. at the University of North Texas in Higher Education Administration and Counseling. His message focuses on transforming people into leaders who can maximize th eir individual potential. A dynamic and energetic speaker, Dr. Rohm has entertained and enlightened audiences as large as 70,000 people and shared the platform with other great speakers like Zig Ziglar, Les Brown, Dr. John C. Maxwell, Frank W. Abagnale (from the movie “Catch Me If You Can”), Ron MacLean (Canadian Sports Announcer), Dr. Stephen Covey (author of The Seven Habits of Highly Effective People), Harvey Mackay (author of Swimming With The Sharks Without Being Eaten Alive), President George Bush, Rush Limbaugh, Charles “Tremendous” Jones and Peter Lowe. New event just announced! Oregon requires that all central stations that monitor accounts in the state of Oregon have a licensed Executive Manager in addition to a licensed manager/supervisor who directly supervises Oregon certified alarm monitoring operators. The Department of Public Safety Standards and Training will deliver the mandated Private Security Alarm Manager and Alarm Instructor Courses on Wednesday, November 12, 8:00 am-1:30 pm. in Sarasota in conjunction with CSAA Fall Operations Management Seminar. Successful completion of the appropriate course(s) meets the Oregon training requirements for new or renewal licensure as an Alarm Executive Manager, Alarm Supervisory Manager or Alarm Instructor. There is no cost for the course. Participants share equally in the instructor-related travel expenses. Registration: Pre-registration is required. To register for the course, mail your application packet* and fees to DPSST at 4190 Aumsville Highway SE, Salem, OR 97301. Be sure to note the desired training date on the application or contact DPSST at 503-378-8531. Note: If there are an insufficient number of students registered for each class, the class will be canceled and registrants will be notified. *See the DPSST website for application information and forms. Have you registered yet for “Fall Ops”? This year’s theme, Everything is Connected, means the education sessions focus on the way advances in the connected home and other interactive services have changed (or not!) operations in the monitoring center. Fall Ops 2014 attendees will tour the recently-constructed operations center of All American Monitoring (a CSAA Five Diamond central station) and meet the owners and staff who are changing the game in dealer relations and contract monitoring. Customer Care for Connected Home: Inside or Outside the Central? Use the links below to find out more about Fall Ops and register today!